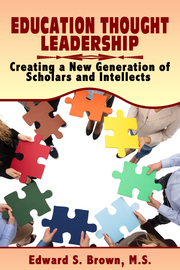 Are you creating the next generation of scholars and intellects? Educators and managers were asked in an independent survey conducted by Core Edge Image & Charisma Institute, “Do you think that students entering the job market would have an advantage if they have created articles, blogs, books, videos, and etc… that tackles an industry problem?” Over 96% of respondents felt that students with intellectual property had a better chance of getting the best jobs over students who didn’t possess any intellectual property. It’s not enough to merely have ideas, education, and experience. Students have to become better at documenting, packaging, and marketing their knowledge to decision-makers. Today, students have to become thought leaders and subject matter experts by creating intellectual property that solve industry problems, as well as gain influence within their profession. There is an ongoing debate raging as to whose responsibility it is to prepare graduates for today’s workforce. Corporate managers suggest that many college graduates aren’t prepared with the critical thinking, problem solving, and decision-making skills necessary to affect corporate productivity and profitability. Conversely, college administrators suggest students are well-prepared by their standards. This books bridges the intellectual divide by helping educators develop the next generation of scholars and intellects. Readers will learn how to dissect industry problems, create solutions, transform solutions into intellectual property, and position themselves as thought leaders using social media. A must-read for societal advancement and productivity.